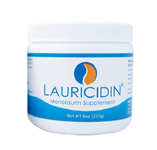 Maintains healthy immune response and histamine production. Support for athletic, cognitive, immune function and daily wellness. Immune support fiber. Supports in mental and physical wellness; ease of stress. Powerful antioxidant. Supports memory and mental performance, ease of stress. Promotes muscle function during exercise. Promotes muscle function during exercise. Promotes a healthy digestive tract. Supports joint health, immune function and premenstrual comfort. Powerful support for immune, joint, gastrointestinal and cell health. Support for joint, cardiovascular, immune and gastrointestinal function. Wide range support for female reproductive health. Optimal immune support potential. Essential mineral with wide-ranging support. Nutritional support for athletes. Powerful stress defense formula. Herbal support for the gastrointestinal tract. Herbal support for the gastrointestinal tract. Digestive enzyme support for gall bladder and fat digestion. Powerful support for detoxification and cellular health. Supports emotional well being. Comprehensive dopamine support. Replenishes electrolytes lost during exertion. Supports well-being and moderates occasional stress. Promotes physical and mental stamina. Promotes physical and mental stamina. Support for protein, carbohydrate, fat, fiber and dairy digestion. High EPA fish oil concentrate. Soluble and insoluble fibers to promote weight management. Enhanced support for gastrointestinal integrity and function. Enzyme blend for healthy gluten and dairy digestion. Supports the liver and kidneys and cognitive health. Maintains a healthy gastrointestinal tract. Supports healthy hair, skin and nails, with Metafolin® L-5-MTHF. Supports detoxification of metals and antioxidants for immune defenses. Supports your immune system and digestive tract Maintains healthy tendons, ligaments and joints. Offers powerful antioxidant and cellular function support. Supports healthy fat metabolism in the liver. Supports cognitive health, mood, and brain function. Powerful support for both liver and gastrointestinal detoxification. Powerful support for both liver and gastrointestinal detoxification. Multivitamin/mineral complex for healthy aging. High-strength carotenoid blend for macular support. Protects and promotes liver cell health and tissue function. Supports healthy libido for men and women. Lutein and zeaxanthin for healthy eyes. Supports cardiovascular, macular and prostate health. Supports gastrointestinal, reproductive and urinary tract health. Supports joint, immune, and respiratory health. Comprehensive multivitamin/mineral without iron for ages 4 and up. Supports optimal health in a gentle hypoallergenic formula. Essential trace mineral blend. Helps lessen leg muscle cramps and tension. Comprehensive neurotransmitter support. Supports nitric oxide production and healthy blood flow. Promotes healthy ferritin, hemoglobin and red blood cell function. Lipid metabolism support. Vegetarian adrenal support formula. Supports healthy lipid metabolism and cardiovascular health. Enhances first-line immune defense and upper respiratory support. GABA, glycine and l-theanine in a convenient liquid. Chewable daily immune support. Pine bark extract with antioxidant properties. Maintains mast cell function and degranulation. Advanced nerve support formula. Concentrated support for prostate health. Herbs and nutrients for optimal thyroid gland function. Supports cardiovascular system and antioxidant protection for cells Supports bone and kidney health and uric acid metabolism.